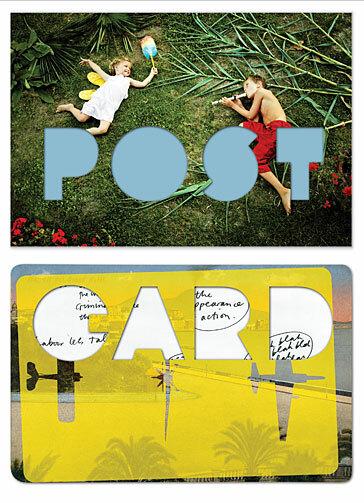 A celebration of recent postcard design, this unique book showcases over 800 miniature works of art, specially created for a postcard-sized canvas: a must-have for avid collectors as well as anyone with a passion for graphic design. Features over 100 artists, illustrators, photographers, designers and collectives from around the world, with new talents sitting alongside established artists. Separate sections are devoted to one-off designs, limited-edition sets and books, unusual and hightech postcards and interactive projects. Includes a huge range of handmade artworks, cutting-edge illustrations, commercial promo cards, and even edible and musical postcards. Contains 20 free designer postcards to send or collect by Daniel Eatock, Juju’s Delivery, Jeremyville, 123Klan, Geneviève Gauckler, Catalina Estrada, Marion Deuchars, Hellovon, eBoy, Gregory Gilbert-Lodge, Supermundane, Anthony Burrill, Tabas, Rinzen, Andrzej Klimowski, Yorgo Tloupas, Mark Adams, Elisabeth Lecourt, Vaughan Oliver at v23 and FL@33. The book contains a collector’s set of 20 specially commissioned postcards from some of the biggest names in the business. Daniel Eatock, Juju’s Delivery, Jeremyville, 123Klan, Geneviève Gauckler, Catalina Estrada, Marion Deuchars, Hellovon, eBoy, Gregory Gilbert-Lodge, Supermundane, Anthony Burrill, Tabas, Rinzen, Andrzej Klimowski, Yorgo Tloupas, Mark Adams, Elisabeth Lecourt, Vaughan Oliver at v23 and FL@33.